Phuket is best known for its freshest sea foods. Many tourists and travelers decide to travel and visit the best Phuket restaurant serving fresh and delicious sea foods and have a taste of delicious meals. There is indeed a wide range of Phuket restaurants serving fishes and sea foods and there are also myriads of design, style and settings where you can enjoy delicious seafood meals. This is one of the best seafood restaurants in Phuket that you must try specializing on local delicacies and sea foods. Nestled in the Chalong Bay shore, this seafood restaurant features both outdoor and indoor dining areas offering great marina views. “Kan eang” means ‘easy going” and this is true for a larger restaurant that serve numerous individuals on daily basis. The atmosphere in this restaurant is relaxed and laid back. This is perhaps one of the most loved seafood restaurants in Phuket that have been serving delicious and fresh seafood for decades. The floating restaurants in Phuket are one of the most ideal ways of dining out. This is situated on the east coast and the trip usually involve fun boat ride from the Laem Hin Pier up to the floating restaurants. The must try dish in this Phuket restaurant is the huge oyster served with lime, herbs, garlic and chili. This is ultimately delicious. Other delicious classic dishes served here are stir fried crabs added with black peppercorns, deep fried crabs added with garlic, crab mead added with curry powder, soup, roast shrimps and more. Some of the seafood meals here are expensive so customers must check out the prices first before ordering. 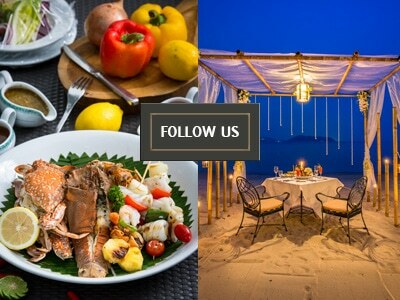 Just off the beautiful island and right beside the Sarasin Bridge that connects Phuket into the mainland, you will find this best Phuket restaurant serving lobsters, crabs, fish and many other types of fresh seafood. The restaurant has live tank where you can freely choose the still-living meals. This is another highly recommended seafood restaurant that serves good meals and delicious seafood menu to both local and guest diners. This restaurant will allow you to have the best seafood experience in the best of the Phuket’s traditions. This is an orange painted large seafood restaurant that is a bit reminiscent of the Mexican cantina with bigger parking space. This is a great advantage for those clients who are used to coming back to this restaurant more often especially during lunch or dinner. Pak Nam offers English-language menus that exclusively feature different fresh seafood and ready-made local dishes served in either small or large size. There are also other mouthwatering dishes such as baked mussels, stir fried shrimps in tasty sweet and sour sauce, local vegetables and seafood and many more. These are some of the top Phuket restaurants for seafood lovers. These restaurants a worth a visit so make sure that you will come here and enjoy the best they can offer during your Phuket holiday vacation.